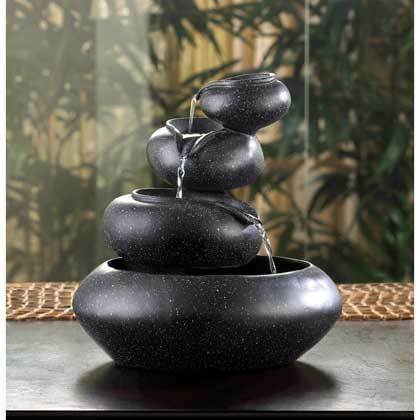 31140 Four-Tier Tabletop Fountain home decor, jewelry, decor, decorations, electronics, fountains, floor mats, art glass, vases, garden essentials, fireplace screens. With 120v pump. For indoor use only. UL Recognized. Alabastrite. 9 1/2" diameter x 10" high.